Posted in: Business, Lansing History. Tagged: Oscar Downey, William C. Porter. A Porter coach at the front of the Union Depot, now known as Clara’s Restaurant. Back in the day when you arrived by train in Lansing you would have taken a coach from the station to your hotel. 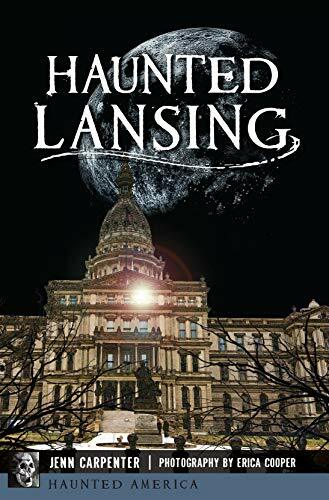 Lansing was no different and the largest livery in the city was the W.H. Porter Omnibus Hack and Livery. The business was established in 1866 by John C. Adams. In 1880 William C. Porter purchased half of the company from Adams and two years later bought Adams out. The livery was located on the south west corner of Washtenaw Street and Capitol Avenue, where the Cooley Law School Center is today. In 1906 the business had forty-two horses and operated two omnibuses, two baggage wagons, twelve hacks and twenty-five assorted vehicles, i.e. phaetons, surreys, stanhopes, etc. The Porter Livery at 300 S. Capitol. Another image of 300 S. Capitol. I am not sure who Ford was, I have yet to find a reference. I wish I could find more about this friend of horses. At best, what we known is that his name was Orla Rolland and he was from Saranac, Michigan.